Roomy, classical 1850 house with a modern touch inside. 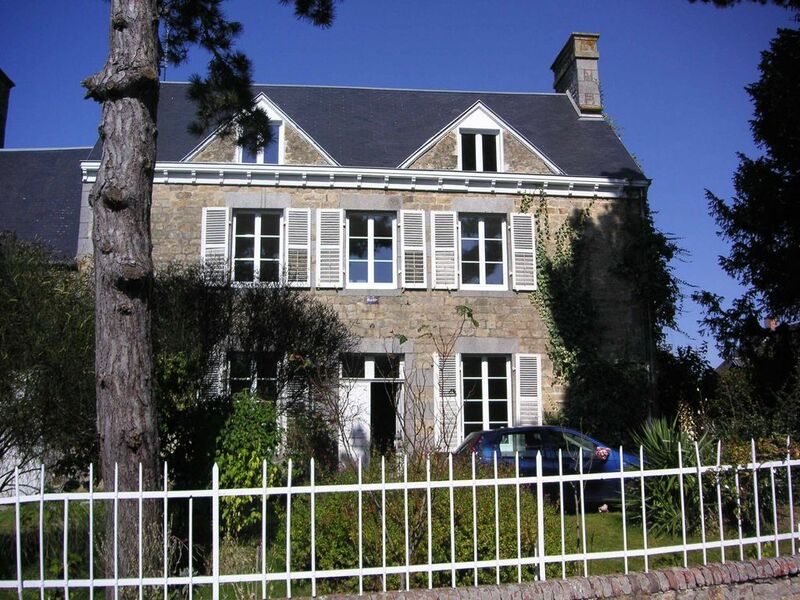 Fully refurbished in 2008 by an architect.In the heart of the St Michel bay, close to Jersey & Saint Malo. 1500 m2 garden with trees and parking lots for up to 3 cars. La maison est agréable, bien rénovée et chaleureuse pour des vacances en famille ou entre amis. La localisation est très bien également, proche du mont saint Michel et la jolie côte entre Jullouville et Granville. Uns hat die Atmosphäre insgesamt gut gefallen. In dem Anwesen im normannischen Baustil und mit großem Garten haben wir uns wohlgefühlt. Die Lage hat uns gut gefallen, die Möglichkeit der Nutzung des Kamins war sehr angenehm. Die Ausstattung war zurfriedenstellend. Insoweit haben wir noch eine Bitte. Wir haben unser etwas gebogenes Küchenmesser in der Schublade für das Besteck vergessen. Da es mit Erinnerungen verbunden ist, wären wir ir für eine Nachsendung (Borsche-Braun, Langemarckstr. 42, 53227 Bonn, Allemagne) sehr dankbar. Die Betreuung durch die Hausverwalterin war gut. We (2 adults and 4 kids between 1 and 11 years) loved our holidays here! The house is absolutely fantastic. The rooms are all good sizes and it was very well equipped. It‘s location is perfect, there are many beautiful beaches nearby and it‘s also close to the Mt. Saint Michel. We highly recommend this place and would love to come back one day. Jolie petite maison bien agencée et bien située. Jolie petite maison du milieu du 19é et très bien restaurée. La grande salle à la fois cuisine et salle à manger est très pratique lorsqu'on est nombreux. Bien située, à côté de Genets, pour faire la traversée de la baie du Mont Saint Michel ou d'autres promenades. Great place. Lovely situated and everything there that is needed. Nice to have 2 fire places in the winter. We do as much as we can to provide all confort and facilities to our guests. And we're happy to share our beloved house with other families from all over the world. ES war wirklich sehr schön in diesem Haus Urlaub zu machen. Highway A84, take the exit at Avranches, follow directions for Granville then after a km turn left and follow the coastal road. Enter Dragey-Ronthon. The house is at the junction with beach road.